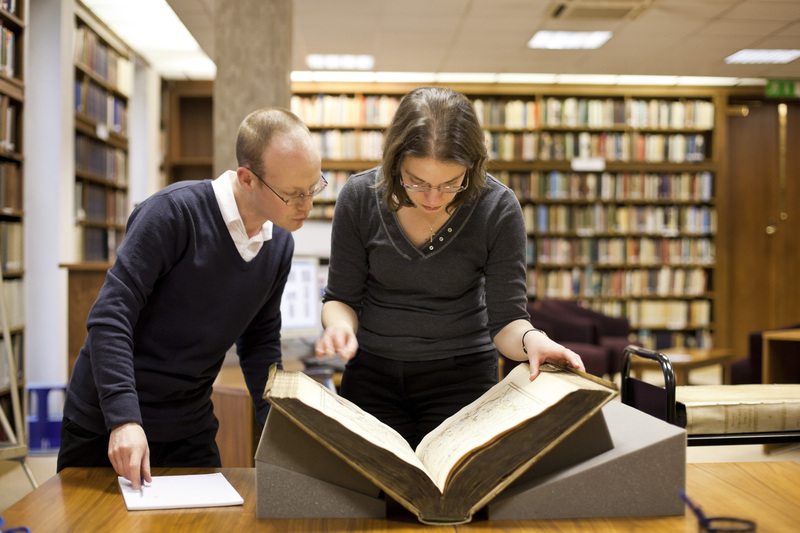 Appointments are necessary to view archive material, rare and vulnerable items in the RCP's Library Reading Room. No notice is required for items listed as ‘open shelves’ or ‘on request’. Advance notice is required for those listed as ‘48 hours’. Digitised copies of books from 1780 to 1914 are now available internationally as part of the UK Medical Heritage Library project. Books unavailable due to ongoing digitisation work are marked as ‘on loan’ on the library catalogue. Appointments are available between 10am and 5pm. Advance booking is essential and we ask for at least 3 days’ notice. All visitors making research appointments must register at the start of their first visit and renew their registration annually. Visitors must supply two forms of ID to register. Please contact us for more details. Images may be taken of items in copyright within the limits of fair dealing. Images of items out of copyright may be taken for non-commercial use; permission must be sought from staff in advance. Please ask staff if you want images for commercial use or have queries about fair dealing limitations.